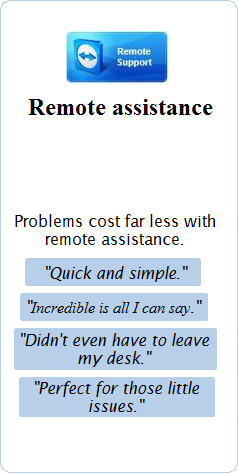 When instructed, please click the button below to acquire the free remote support tool. Depending on your browser, you should see a pop-up to "SAVE" or "RUN" the program. It is recommended to "RUN" the program and to select "RUN" or "ACCEPT" at the prompts.